Turn on your TV and you’ll be inundated with ads for local auto dealers touting the immediate availability of your brand new car. And for many car buyers, once they’ve picked the vehicle they want, it’s not too long before they’re on the road in their new wheels. Of course, if you’re buying something the dealer doesn’t have in stock, you’ll have to wait a little bit longer. But one Consumerist reader wants to know why his new truck has been sitting in an Ohio rail yard for nearly two months. Back in December, Washington state resident Micah ordered a new Chevrolet Colorado Duramax. The truck was brand new to the market but the dealer he’d purchased it through told him it was “in-transit” and should be arriving in about a week. Fast forward 50 days, and Micah is still waiting. The OnStar system in Micah’s new truck shows it waiting in a lot in Toledo, Ohio. Micah tells Consumerist that he originally went to the dealer intending to do a custom order for his new truck, but the dealer was able to convince him to purchase the Duramax that was supposedly already in-transit to the dealership. So he did the deal, signed the paperwork and was told his truck would arrive in a few days — a week at most. The dealer even agreed to activate the truck’s OnStar system, meaning he’d be able to go online and track its location. But what Micah found when he checked OnStar was a bit confounding. A map of where Micah’s truck was located near a rail station. And that’s where it stayed for weeks. Micah next reached out to Chevrolet to inquire about the order status. He was eventually told by customer service that the vehicle was waiting for a rail car. That’s when he went back to the dealer, who then reached out to the General Motors district manager. After some digging, he was told that the vehicle was headed to Kent, WA, not on a train, but on a truck. Yet when Micah checked the OnStar system again, his truck was still sitting at the rail station. Another trip to the dealer ended with the assurance that the truck was indeed waiting for a rail car but that it now had priority. To ease the annoyance, dealer also offered to cover the truck’s first month payment and provide a loaner vehicle, if needed. Meanwhile, Micah noticed that this same model was now popping up on the lots of other dealers in the area. Micah’s many inquires to GM about the status of his truck’s arrival and how a customer could be left waiting for so long were finally answered by a GM zone manager in the Northwest. “He told me there are lots of reasons of why this situation occurred: rail car shortages, shipping backlogs, etc, but that those things shouldn’t be my concern,” Micah recalls, noting that the manager told him his concern should be that he’d been without his truck for too long. Back in December, The Truth About Cars reported that some Chevy Colorado Duramax vehicles were held up due to an unspecified problem during the final validation phase. At the time, more than 60 customers told TTAC that the delivery dates for their trucks, in various states of production, were pushed back multiple weeks. A spokesperson for GM tells Consumerist that the new Duramax, along with the GMC Canyon, have been “wildly popular” since they were introduced. In order to keep up with demand, the company added a third shift to its Missouri plant where the Duramax is produced. “When these high-demand situations occur it is not unusual for dealers to order vehicles prior to the official ‘ship to commerce’ date — the date we officially release vehicles from the plant where they are built to be shipped to retail dealers — and backlogs can occur in the shipping process,” the spokesperson said. The lack of definitive answers surrounding Micah’s situation are also common, the former salesman tells Consumerist. The GM spokesperson was unable to give an exact reason for why Micah’s truck sat at a Toledo rail station for an extended time, saying it could have been any number of factors tied to the way in which car manufacturers transport vehicles. “All U.S. auto manufacturers use the same eight rail companies and the same third-party car hauling firms,” the spokesperson said. “Vehicles are either shipped directly from the factory via rail or via a car hauler, depending on where they are built and where the dealership that purchased them is located. Many things can cause delays, including inclement weather, shortage of rail cars, holiday shutdown, Teamster strikes,” among other things. “It is possible that the dealer in this case ‘over-promised’ when the customer’s truck would arrive at the dealership, but I do not know that for a fact,” she tells Consumerist. As for Micah, he was recently informed that his truck was finally on the way to Washington. 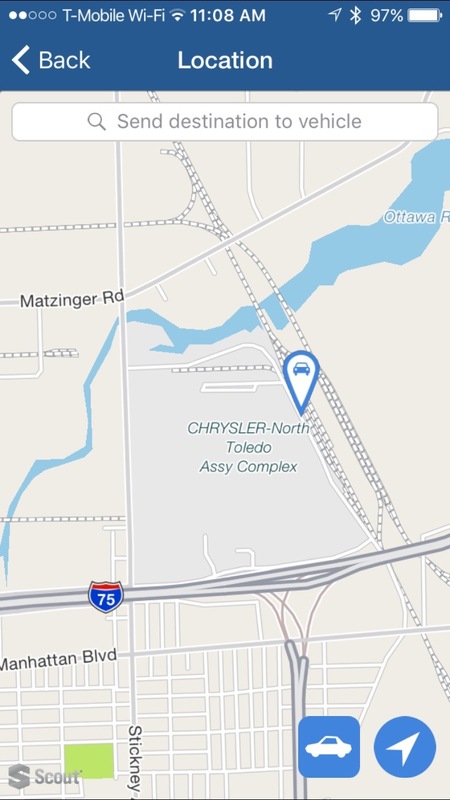 But it didn’t get far: the OnStar system showed the vehicle sitting in Fort Wayne, IN, awaiting a rail car. To make up for the delay, the zone manager offered to provide Micah with $1,000 in accessories for his truck free of charge. “We are extremely sorry for any inconvenience the customer has experienced and we hope he absolutely loves his truck when it is delivered this week,” the spokesperson said. Micah is getting the $1,000 in accessories from the dealership, but he’s not getting a refund on the $895 shipping charge, effectively leaving him with $105 in free stuff for his two-month wait. And while the dealer has offered to pay for Micah’s first lease payment, it will come in the form of a reimbursement, meaning he’s out of pocket on that amount until that reimbursement comes through. Additionally, Micah says he ended up spending more on gas and transportation than he would have with his new truck by driving his girlfriend’s “gas guzzler” SUV in the interim. But Micah tells Consumerist that he’s not perturbed about the money so much as he is all the time he spent making repeat trips to the dealership, calling the rail car company, and staring at OnStar hoping he could will the truck onto a train car. Hey there, did you enjoy reading this? We’re a non-profit! You can get more stories like this in our twice weekly ad-free newsletter! Click here to sign up.